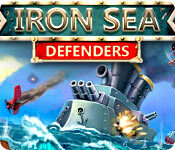 Very laid back & relaxing play - however there's no timed option if you're craving more challenge. There's unlimited "undoes" with no penalty involved. Or also re-deals. There's cute encouragement from a woman with a French accent when you form long words. "Magnifique!," "Tres Bien!," "Ooh-la-la!," etc. The accordion music is ok for awhile, like something you'd hear in a French sidewalk cafe, but repetitive. You just may wind up craving escargot. Unlike some solitaire games where you can point/click a card(s) & then simply point/click its destination, here you have to point/click and hold down the mouse button while moving the card(s) to the destination. It can get a little tiresome for finger/hand/wrist muscles after awhile for some people. But it AUTOMATICALLY saves progress when you exit. It's game play/format rather takes me back to when I was a little kid playing with letter blocks [back in the day], stacking them vertically or placing them horizontally to form words - kind of an interesting updated electronic & more adult version. And some of the power-ups allow you to change either vowels or consonants to other vowels or consonants, another parallel to old-fashioned letter blocks where you could just turn the block to any of the six sides. I never thought back then, but some had pictures on some of the sides, which could have been used as jokers. A very entertaining, intiguing laid-back, low-pressure game, but with increasing difficulty in progressive levels to keep it interesting. I highly recommend it. It's not an exciting or visually stimulating game but it is definitely a challenge and a nice change from the same ol same ol word games. It's like word solitaire so definitely a nice break from the numbers if you are an avid player. I liked it. 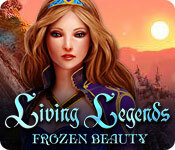 This is an old game which was mentioned on a forum, so I checked it out. It's challenging and fun for people who love to manipulate words. 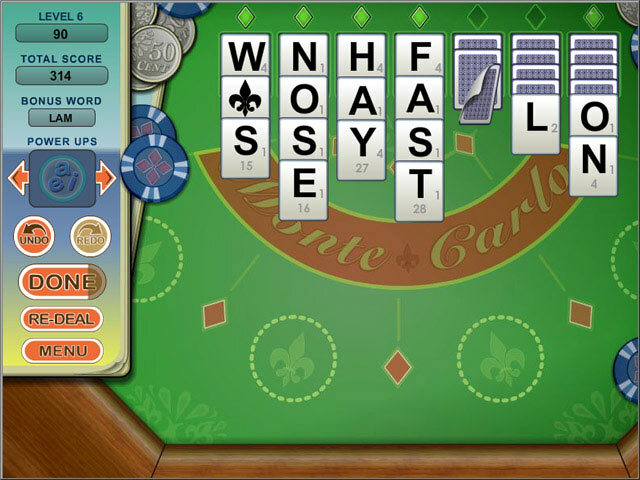 The letters you will be making words from are dealt out as cards in a solitaire game. You may move a letter to any pile where it makes a word or makes the beginning of a word. There are bonus words to be made for "powerups" that enable you to change a vowel or consonant, acquire a "joker" that can be used for any letter, or multiples of value of words and letters, as in Scrabble. 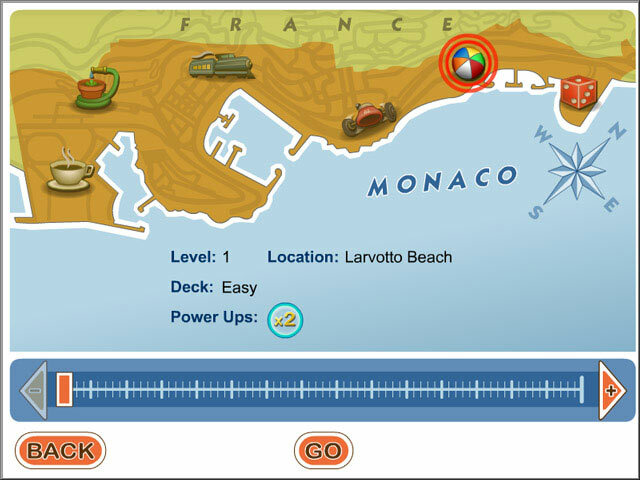 It starts off fairly easily, then becomes a challenge, as you tour the tiny nation of Monaco. There is no timer, so you can think as long as you like. I have no idea how long the game is, as I have not yet finished it, but it has huge replay value. Word Monaco has become one of my alltime favorite word games. I highly recommend it to anyone who enjoys them. Move cards with letters on them to spell words. Don't forget to spell words on the left for bonuses. It's a very long game that gets slightly more difficult as you progress, but it isn't a problem for me and I am no spelling genius. I haven't had any problem having my words accepted until recently and I am nearly finished with the game, so I just spell something else. 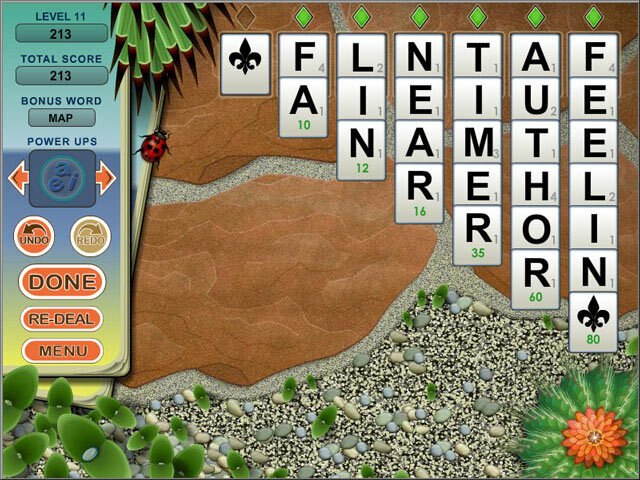 It shows the score for your best word, so it's fun to try to beat your own score. The music is nice and the graphics are clear. WARNING: If you clean your cookies, history, etc., you will find yourself starting the game over.